Strange purple things at the bottom of the tank! I wanted to show you this picture that we took whilst getting ready for our recent bottling. We have had a couple of good cold spells this winter which has let the winery and the wines get nice and cold. 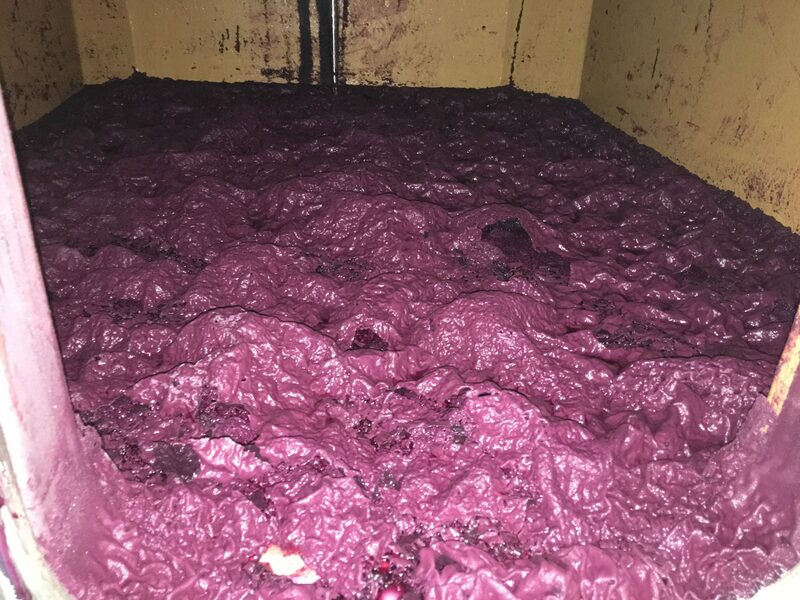 This helps the tartrates to precipitate out of the wine and in this case they have formed this amazing undulating crust over the bottom of the tank. If anyone knows why it does this rather than just being a flat layer on the bottom – please let me know! Meanwhile in the vines signs of Spring are all around now and we are finishing off all the winter work in preparation for bud burst next month.